Sokol Custom Foods is one of the nation’s leading contract manufacturers of quality foods. 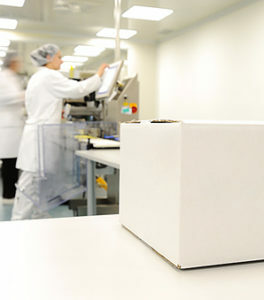 We’ve been exceeding expectations with our manufacturing, contract packaging and co-packing services since 1999. As a distributor of several national retail brands for decades, Sokol Custom Foods also brings deep and unparalleled experience to deliver solutions for your products. We offer jars, cans, and bottles in a wide range of sizes and styles to meet your packaging needs. No matter your product, our experts will find a great package for it. Our food science experts are able to formulate, pack and label recipes to your specifications. Whatever you can dream, we can develop. We can easily provide tray packing and multi-unit shrink-wrap packaging services to meet your needs, no matter the application. We offer innovative back-of-house solutions for your business. With our innovative approach, our packaging services are ideal for the foodservice industry and warehouse storage. Tap into our over 120 years of experience in the custom food ingredient industry. Our experts can guide you through everything from new recipe formulation, and recipe matching, to label design, and logistics. We truly can take your custom recipe from vision to package.